Located in Galera, Molino de Morillas is in a rural location, within a 15-minute drive of Rodriguez Penalva Park and Plaza Mayor de Huescar. The front desk is staffed during limited hours. Free self parking is available onsite. 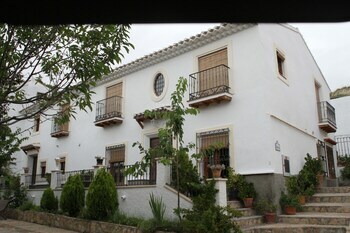 With a stay at El Rincón de Robledillo in Robledillo de la Jara, you'll be steps from Plaza de Television Espanola and a 5-minute drive from Plaza de la Casona. Espai Barcelona Rocafort Apartments offers accommodations throughout the area in Barcelona. Self parking (subject to charges) is available onsite. Located in Malaga (Centro), this apartment is within a 10-minute walk of Malaga Cathedral and Picasso's Birthplace. Self parking (subject to charges) is available onsite.